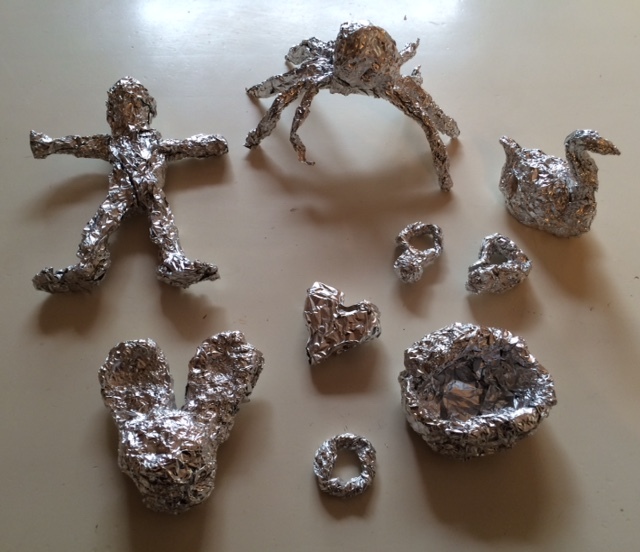 If you care for school-aged kids, keep them busy by making inexpensive tin foil sculptures. We made a game out of this project by trying to make sculptures and jewelry without using any tape or glue. 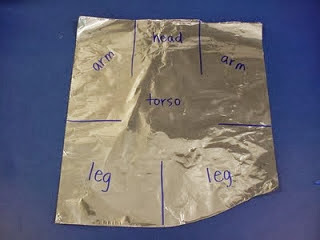 The aluminum foil is easy to scupt with a little practice.